Addie Baum, born in 1900, is looking back at her life as her granddaughter interviews her. The daughter of Russian Jewish immigrants, Addie is happiest at school. Her mother talks about how life would be better if the family had never left Russia, while Addie’s older sisters Betty and Celia strongly disagree, even though they live in a one-room apartment. Celia is timid and delicate, but steps in so that Addie can attend high school for a year and participate in the Saturday Club at a Boston settlement house. A trip to the seaside Rockport Lodge introduces her to girls who will stay her friends for many years. Celia marries a widower, modern Betty works at a department store, and Addie’s father spends most of his time at the synagogue. Addie becomes a secretary at her brother-in-law’s shirt factory, while attending the occasional night class and keeping up with her Saturday Club. The influenza epidemic causes more suffering and Addie struggles to find happiness, moving to a boarding house, trying to become a newspaper reporter and not having luck with men. Life becomes much better after sister Betty marries, and then Addie finally meets a nice man. 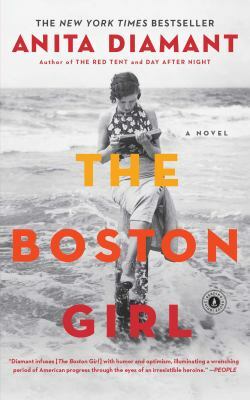 Addie’s resilience, rebellious streak, and sense of humor make her an appealing narrator in this novel about working-class Boston girls and immigrant life.